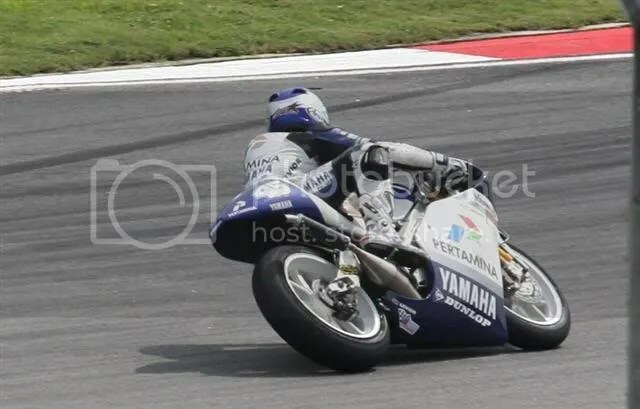 It has been some times that I do not ride my sport bike. It was good when I have been in formed that some friends will be practicing this Sunday. So, I was there when I saw Ochi, Didi, Bona, Rizal. Adit, Pak Henk, Jay, Arie, Mul. 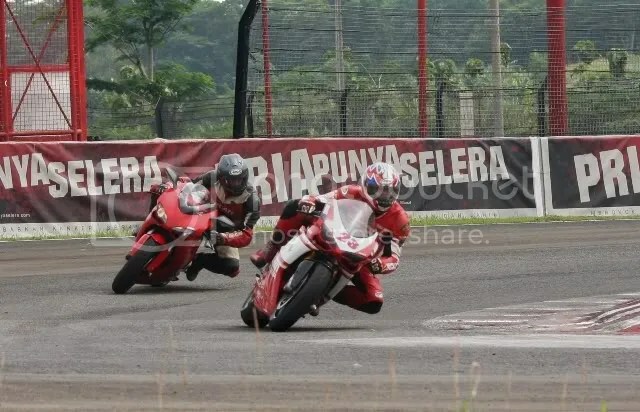 In fact, Yunus and Setiawan were also there with a lot of Vendetta’s riders for a safety riding on track. Wow.. that was quite fun to have the circuit loaded with many big sport bikes in addition to some small sport bikes which were also practicing at the same day. Ochi and I, both on Ducati 1098, had an early start in the morning before there rest of the riders also entering into the track. 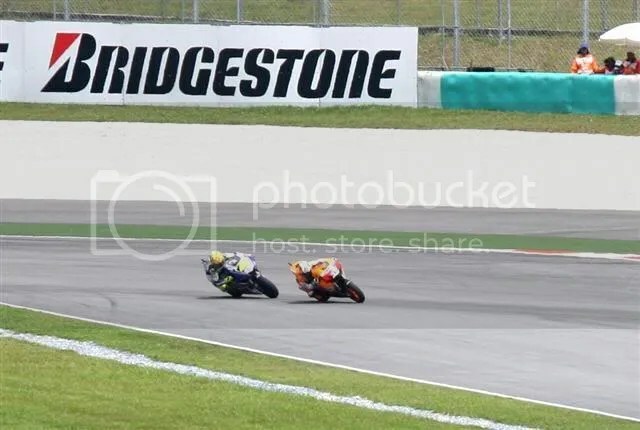 Part of the race and its adrenalin is the entertainment..
Doni Tata is the the only Indonesian rider participated in GP250, the supporting race for MotoGP this year. 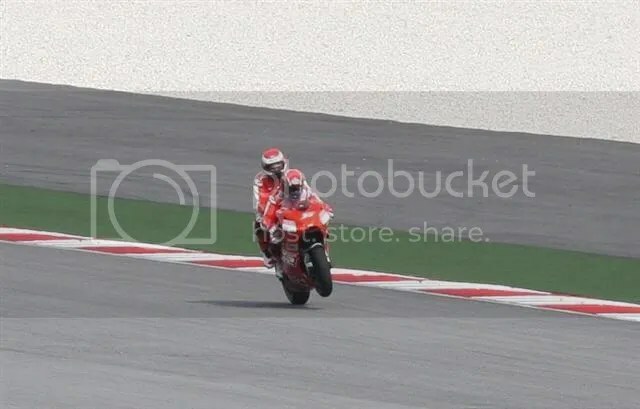 Although he is not performing well and his bike is not competitive at all, his existence at MotoGP race event has provide some motorcycling flavour to the Indonesian motocycle enthusiasm. This is not about the race itself which has been widely reported. This is just about some interesting parts of the race or behind the race. A lot of pretty girls makes it become a very fresh environment..